Thank you to EVERYONE that commented on my post and for all the well wishes. I hope you all come back more often :)! 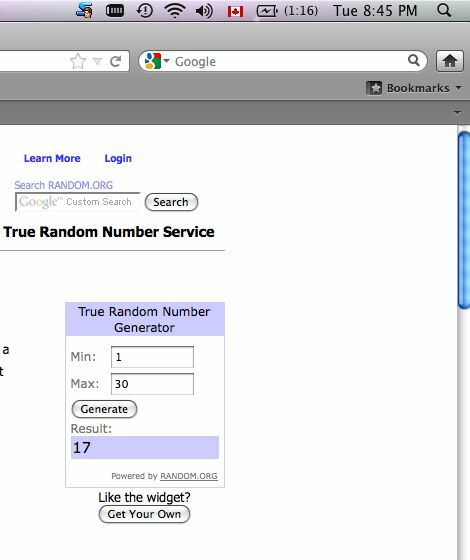 As for the winner…it goes to lucky comment # 17. PS – Full disclosure – my site shows 32 comments, but two of those were me responding :)! I would love to use this gift card for some fancy cheese! I will be contacting you via the email you provided. I hope you enjoy the yummy fancy cheese your gift certificate buys. Thank you all again – to another year of blogging!